The Crazy Bookworm: Book Blogger Confession: No time to read! 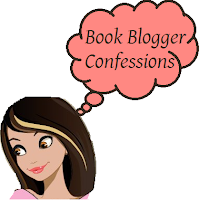 Book Blogger Confession: No time to read! I know it sounds horrible, but it's true. As a crazy bookworm, you'd think I'd have a book in my hand every waking moment. But, alas, that it not the case. For example, this month. With Yoga Teaching Training, working and my other activities, I have just not had the time to read! Now, add on Christmas shopping and social gatherings, and it feels like I have zero time for anything, let alone anytime to myself! The little bit of time I do have, I want to spend catching up with my fiance or catching a movie. I simply don't have the urge to read in that time, because it feels my mind is racing with 8 million things, that I just don't have the focus right now. Not to mention I TOTALLY MISS READING! Does anyone else get like this. Where you schedule doesn't allow you that much reading time? How do you cope or deal? I get like that alot. Because I have 2 kids. I try to schedule my reading when everyone is asleep. Its calm and quiet. Even if I have to read a page a day. :) it will get better. I always feel like this around the holidays or planning for a big vacation. Lately it has been that I'm back in school which leaves no time for fun reading. I try to fit in audio books where I can. I probably should not feel like this very often but lately I do find that my time for reading is limited. I have been trying to do my reading more in the mornings when the house is quiet and I have not started my day officially. I get like this when life gets busy, especially with the holiday season. Audiobooks are the best. I still get to experience a good story, but I can do other things at the same time. Other times I tell my husband to look after the kids while I lie in bed and get lost in my book. Try audiobooks. I have never tried it, but have been so busy too that everyone keeps telling me to do it. I try to read on the Train ride to work at times. This seems to be the only time that I get to read these days with the holidays. I also try to allocate one hour for reading. Inside, you’ll have ample room for all of your everyday prada replica, making this the ultimate city bag to take you from the office to an afternoon of shopping to a night out out partying. Everything is kept neatly inside with a drawstring closure and front snap. Montsouris GM Book bag: If you’re looking for something with a little more space than your regular Louis Vuitton bag, but without the unwieldy bulk, the Montsouris book bag is a superb choice. This high-profile prada replica also sees a lot of face time in celebrity photos. You’ll never set out without it. Christopher Book bag: Often photographed on the arms of today’s hottest musicians and famous actors, this gender-neutral book bag is one of the largest in LV’s collection. Numerous prada replica and a large main drawer make it ideal for overnights and weekend trips. It makes a great travel bag to accompany your everyday Louis Vuitton purse. Sac a Dos PM HOURS Book bag: Turn heads with this unique vintage bag. The exterior is created from a chic monogram denim, nicely finished with cowhide leather trim. Due to the hand woven nature of these stonewashed bags, the ins and outs of gucci replica will differ for each one, ensuring that your bag will be truly chanel replica. A great casual bag for everyday carrying, it boasts finished brass hardware and generous interior storage space. Vlog! I answer YOUR questions! Forsaken Book Blast + Giveaway + Book Excerpt!